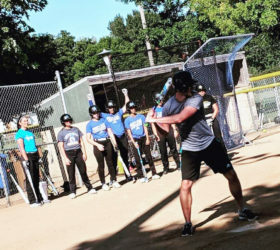 On Wednesday, September 5th, the Dakota State Softball team partook in their fourth annual Hit-A-Thon. This event takes place at the beginning of each year to mark the start of their fundraising efforts. How the Hit-A-Thon works is very simple. 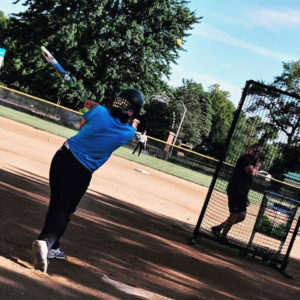 Each member of the softball team receives five pitches. Of those five, they measure the farthest hit. Donors who partook in the event pledged to donate a dollar amount per foot. For instance, if a donor pledged to pay 10 cents per foot and a player hits the ball 200 feet, they would donate $20. Donors are also permitted to donate a flat amount if they choose. 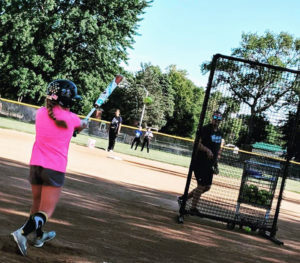 The Hit-A-Thon has been going on since Head Coach Kissel first came to DSU, four years ago. “This year we tried to make it more interactive by adding the ‘challenge a player’ part”, Kissel said. The exact dollar amount raised is still unknown, but they expect it to be a large number. Money raised during the Hit-A-Thon goes to help pay for the charter bus for the spring break trip, as well as various other items throughout the year. Beyond fundraising, this event was for the community to meet the softball team and see the talent the team offers. “We have been trying to build attendance at our games and this was a way to promote the team”, said Tatum Ronke, a senior for the Trojans. The Trojans are hoping this fundraiser will start off their year in a positive way. For those that are curious about the team’s current standing, the team’s total distance was 5,055 ft among 22 players. Running the numbers puts that at approximately 230 ft per player, which is a great number. The players, as well as the coaches, are ready to represent DSU “in the best way possible” says Kissel. The Trojans will partake in the DWU Fall Classic on September 9th in Mitchell, SD. The Trojans are excited to show off what they have been working on in practice and want to thank the community for their generous support at the Hit-A-Thon.